• Sized and weighted to provide realistic feel but with limited flight and the safety of foam • 27” length - weight: 18 oz. • 27’’ long - weighs less than 5 oz. 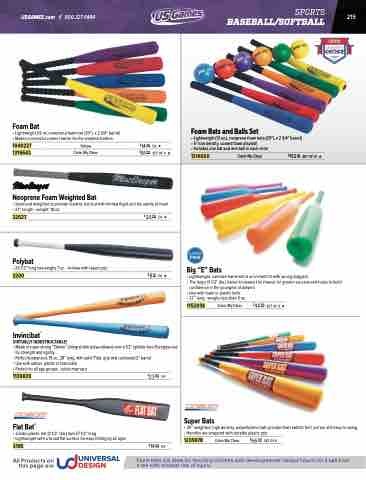 Foam bats are ideal for teaching children with developmental delays how to hit a ball from a tee with minimal risk of injury.